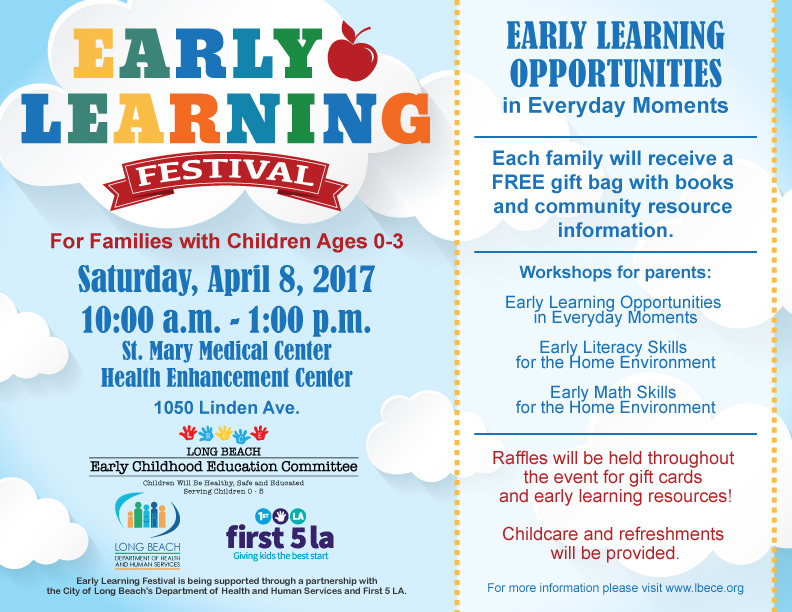 What time does the Early Learning Festival start? The Festival will begin promptly at 10 a.m. and keynote speaker from Children’s Institute, Inc. I have two children and no one to watch them on a Saturday morning. What can I do? Bring them with you! 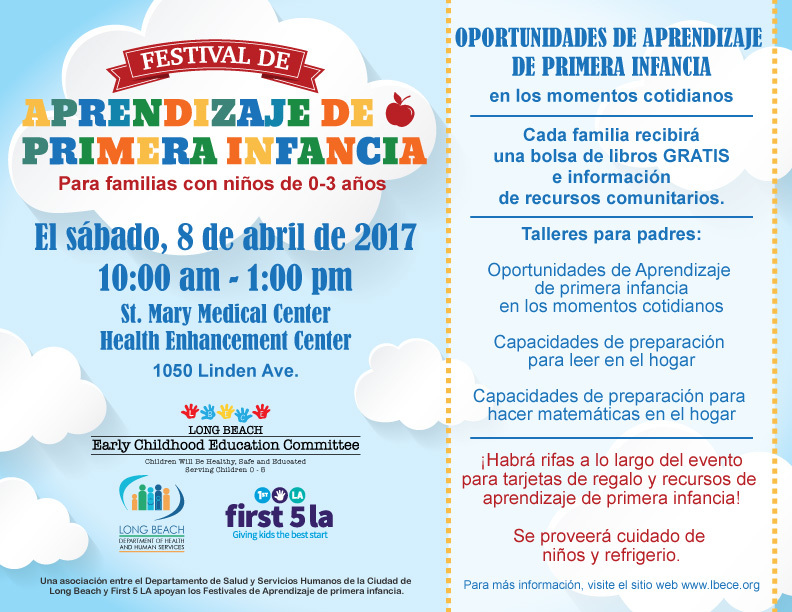 We will be providing free childcare for children using experienced, kind, and licensed childcare providers. Can my child stay with me during the presentations? We prefer that children go to childcare. However, if you have a child that would prefer to stay with you, that will be fine as long as other parents can continue to learn from the presentations. I usually give my kids a snack mid-morning. Can we bring food? We will have healthy snacks and drinks available for all families in attendance. There is no cost for snacks. However, feel free to bring your child what he/she likes the best. We know that some children might have allergies and in these cases it’s good to bring something safe and healthy for your child. What will parents learn about at the Festival? 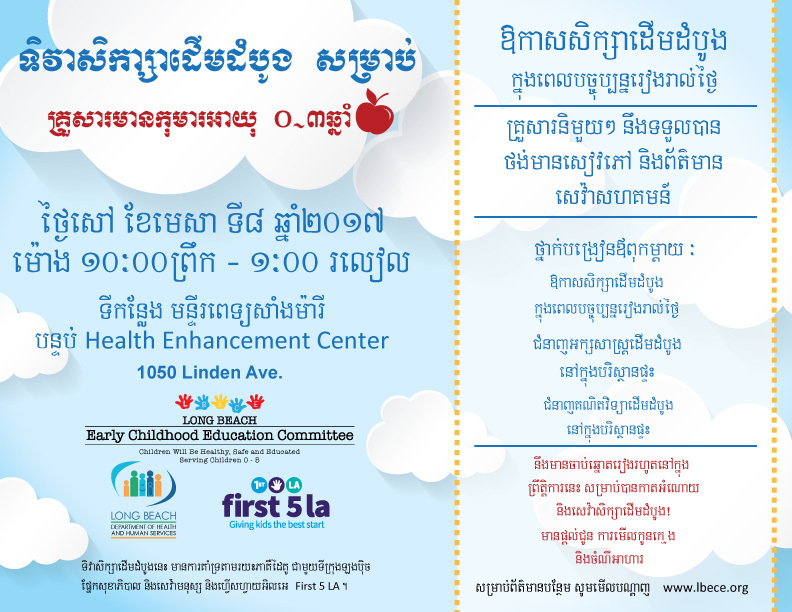 Parents will have the opportunity to learn about key strategies that can help with the early development of language, literacy, and math skills of young children ages 0-3. These strategies can be done by any parent in many different environments – at the grocery store, at a restaurant, and even at home. Opportunities for learning are all around us! We take the bus to get around Long Beach. Is there a bus stop close by? Yes! There are bus stops all around St. Mary Medical Center on Atlantic, 10th Street, and Long Beach Blvd. Will there be parking for those of who will drive there? Yes! There is street parking on 10th St., and anyone who parks in a St. Mary’s parking structure will have their parking ticket validated for free parking. Please bring your ticket inside with you for validated at our registration table. What time will the event end? The Festival will finish at 1 p.m.
Do I need to register to attend? No, just show up! Can only one parent in a family attend? No, we welcome all parents to attend the event and learn as much as possible. What if I have a question that isn’t answered here? If you have further questions, please email us at info@lbece.org.